Google's Social Product Is Codenamed "Emerald Sea"
Naturally, no sooner do a publish a story on Google’s forthcoming social product and some of the intrigue surrounding it, do some new sources come out of the woodwork. We can now confirm, by way of no fewer than four sources, that Google’s social product is in fact internally called “Emerald Sea”. And yes, obviously, it is being dogfood tested within the company. In the previous post, we noted that an anonymous user on Quora stated that the project was internally called “Emerald City”. We also stated that we had heard “Emerald Sea”, but figured that perhaps we had just heard it wrong. But it turns out that Mr. or Mrs. Anonymous is actually the one that likely heard it wrong. Still, that user’s other info remains inline with what we’ve heard. That Emerald Sea will be a social layer that spread across the majority of Google’s properties. One tipster, a former Googler, warns that these internal nicknames shift all the time and it could even end up being known as “Emerald City” at some point. As to what Google will end up calling it when it gets released next year, that remains up in the air, it seems. 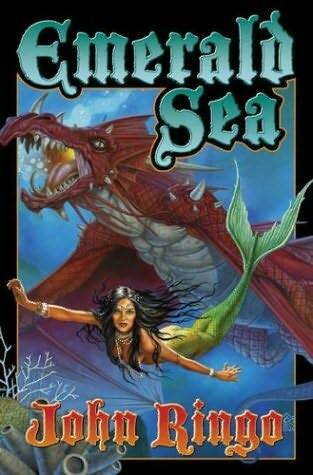 I just hope Google chose “Emerald Sea” after the John Ringo novel above. It’s just so magical.